Bionic Briana: And baby is a....? It's official! We will be welcoming a healthy baby GIRL into our lives in March 2012! She looked great in there. All of her parts were in the right place and she weighed in at about 12 ounces! Perfect. 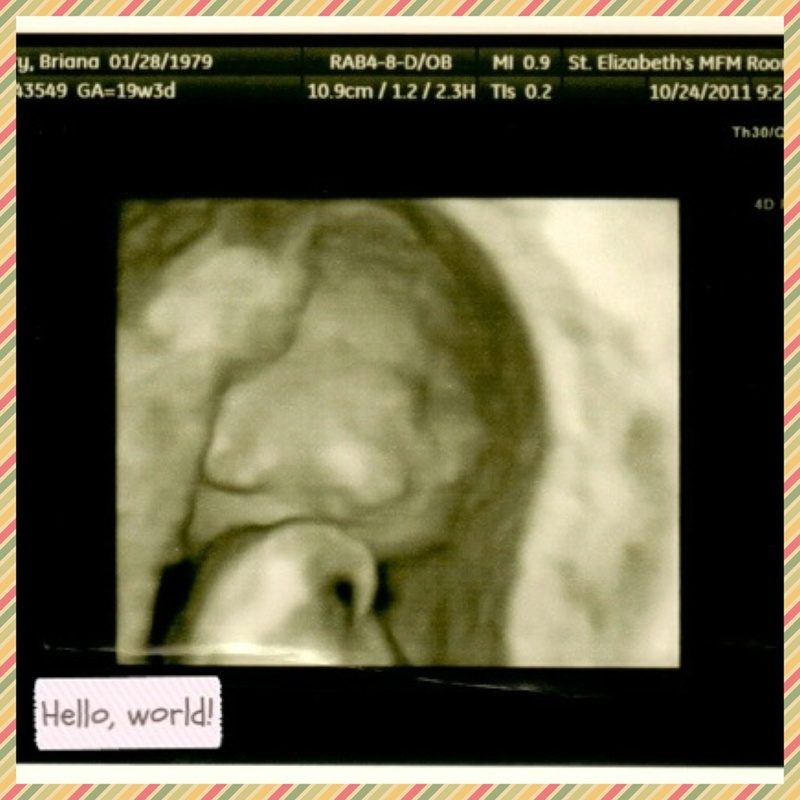 Can you see her little smile in the ultrasound picture? It's amazing to think of all that she can do and all the movements she can make at just under 20 weeks. Keep growing healthy and strong, little one. We can't wait to meet you! It's all starting to sink in... we will be parents soon! If you are a mom, when did you start buying baby things? Today, as a matter of fact! I wanted to wait till we knew what we were having before I bought anything. So now that I know... I bought some cute onsies and a few receiving blankets. Furniture? We'll tackle that project in a few weeks. YAY! Team pink! You must be so excited :) Congrats! I am so stinkin excited for you guys! Hooray! How exciting.....bring on the ribbons and bows! :) I was actually one of those 'crazy momma-to-bes' that bought some pink and blue early on because i couldnt wait until that 18-week ultrasound to start shopping! :) congrats! Congratulations! That is such exciting news!! Have fun shopping! Baby clothes - especially baby Girl(!) clothes - are the cutest! So stinking excited for you!!! we were in the middle of a big move, so we didn't a lot until we got to Germany (20 weeks). I did buy my pack n play and crib in the states, though. Congratulations on a healthy baby! hey Bianca. Found you from amanda@runninghood. Congratulations on your baby girl! Very exciting! !